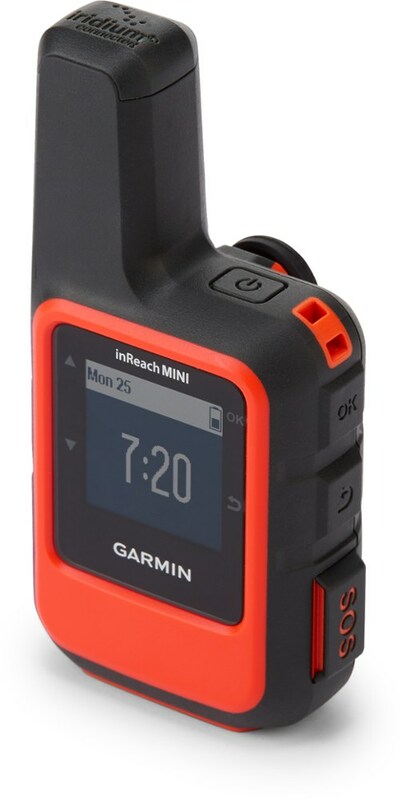 If you're looking to combine your messaging and GPS needs into one device, this is it. Almost exactly the same as the older one? I've acquired this GPS for a solid price of $300 through incentives of my workplace, and its the best $300 I've spent on gear. 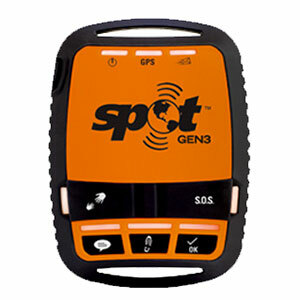 This GPS has accompanied me on any challenging hike, backpacking trip, backcountry skiing, or any trip into the mountains. As shown in some pictures I've uploaded, this GPS doesn't anything special in terms of features. But what it does do it does well. 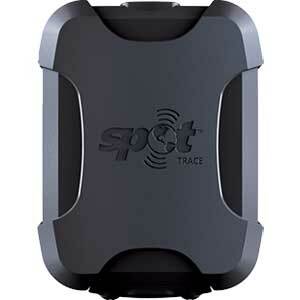 The communication aspect of this GPS is easy if you have a phone, and still very manageable when only using the device. With the phone, you can send a message through their at "Earth Mate" just as if you'd send a text to someone normally. It will take a couple of minutes to send it, but rest assured it does send. With the device, you'll need to click your way through a keyboard using the arrow keys. If your phone is dead, this is still a viable but not preferred option of messaging. It uses its GPS system through Iridium Satellites, which are apparently top of the line, which is easy to see. Even when in deep valleys this GPS still holds a location on you. Since this is the first GPS I've owned, I have no baseline to compare it too, but regardless it does a fantastic job. 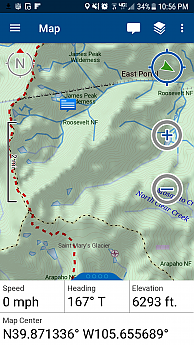 You can view the map through either the phone or the GPS. Phone would be your first option. 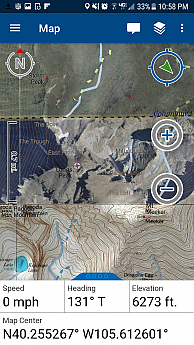 With the phone, you'll have the option to download various map types depending on what you want to see. Some maps only take a few megabytes to cover a whole state, while other would take up your whole phone, like birds eye view. Rest assured you get many comprehensive maps. Now on the GPS, you don't get the extensive list of maps like on your phone, but you definitely get everything you need. There are extra maps you can download per-state on the website onto the actual GP that I would recommend. If someone so desired to, they could track your movement in different time intervals via a webpage provided to you. I Never have extensively used the tracking option on the phone. While I can see the novelty of it, it ultimately seems slightly like a waste of time. But let us say you have a SO or parents anxious about your safety and where you are, this option might come in handy. Another tool for a less anxious person waiting at home for you. Through the webpage mentioned earlier, people at home can request a location ping, which at any moment, without intervals, will show your location if your GPS is on. Another thing to keep an anxious person at home calm and happy. Basecamp is a software provided to you that allows you to customize and plan out trips or trails. Not only that, Basecamp comes with a collection of trails and trips already created by those who make their plans public for use. For normal hikes or overnight trips, this feature may not be needed. But for two days or more, this feature could help you stay on track to where you're supposed to go. It's detailed and extensive, providing many markers, lines, and so many ways to customize it. Thankfully I have never used it. But, the SOS function is the ultimate feature that keeps you safe. With the removal of the cover and press of a button, a 24-hour assistant calls the nearest rescue team, regardless of who and where it is, to your location. You are provided the option to text back if possible. Hopefully, I'll never need to use it. All these features aren't free sadly. There is a monthly fee you have to pay for Communication. The lowest package starting at $15 a month, and the most expensive at $100 a month. Each one provides a certain number of messages, tracking options, location pings, etc. I do just fine with the cheapest option of $15 a month. You can also freeze the monthly payments anytime when it is not in use. I'd recommend going to the website and checking it out if you're serious about buying it. Not much to say except that it has what appears and feels to be a rugged design. If I were to drop it, I would have confidence it would break apart unless you would drop it off a cliff. Waterproof, dustproof, just about everything-proof. Comes with a sweet carabiner to attach to it aswell. Used it only once out of worry. This weather function gives you two options, a basic weather update or a premium weather update. The basic posts temps and rain chance for the next three days, while the premium gives much more detailed forecasts for the next seven days. It's definitely not as user-friendly as a Garmin or not as nearly as many bells and whistles. The Garmin 64st is something a weekend warrior or casual hiker should look at if they don't need the technical features or communication. 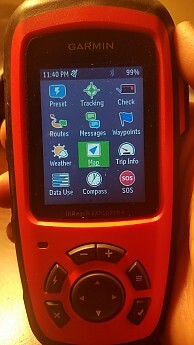 And while this new Garmin/Delorme GPS has a new body design, the layout and maps are exactly the same. 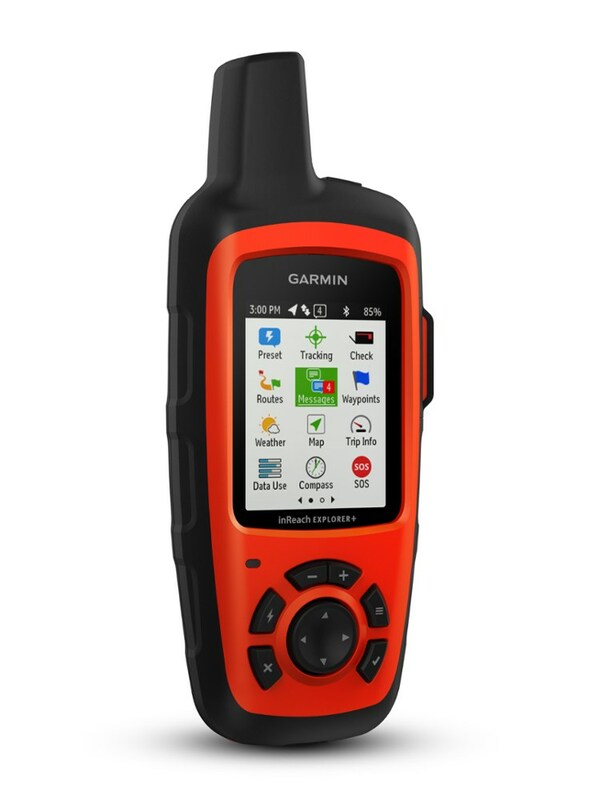 I had wished they would one day merge some of Garmin's great ideas with Delorme's great products to make an ultimate GPS. One day though. Thanks for the helpful review, Jordan! 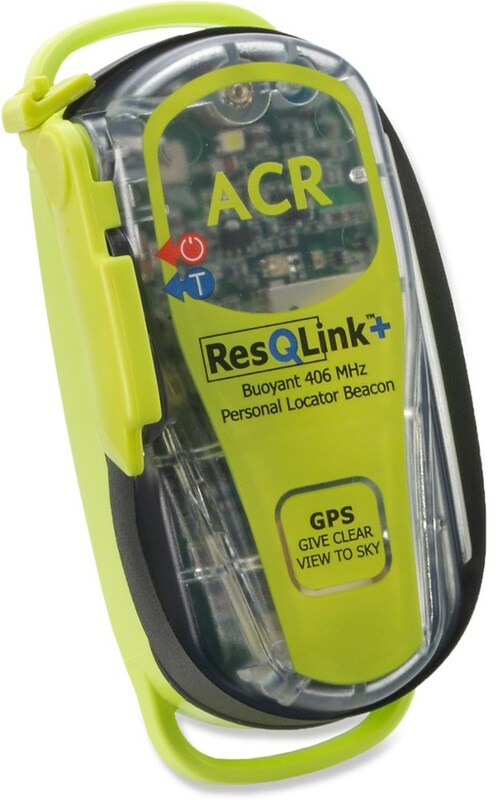 Best option on the market for a cross between a locator beacon and a cell phone when cell coverage is not available. GPS features aren't great for typical Garmin products, but still serves its purpose. 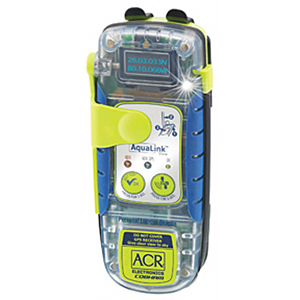 Overall it's a great product and I feel it will serve its purpose well for my upcoming solo backpacking trip in Alaska where cell coverage is non-existent. I don't really need the mapping ability, but it was a nice plus. The primary reason I bought it was for the SOS capability, secondary was to be able to text my wife and keep her updated on my progress and well being. I bought the unit at a local sporting goods store. My first immediate reaction to the product wasn't great when I got it home from the store. Why you ask? Well, the software version that came with the unit would not allow me to do anything with the device unless I bought into one of the service plans Garmin has to offer. I didn't think that was right. 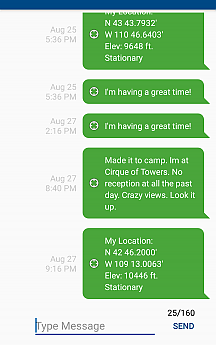 I only needed GPS features for the time being and didn't want to buy into a plan until closer to my trip. 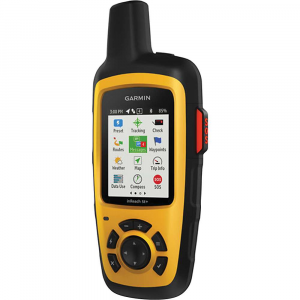 So after a few calls to Garmin, they got me a new firmware that we uploaded to the unit which allowed me to use all of the non-subscription features. Once that was squared away, it's the typical Garmin features and menus. It comes with maps, however they don't always look as detailed as my older Garmin 64 unit. The bluetooth feature and the Earthmate app make life easier for using many of the features, just stinks you have to have both devices with you to make this obviously work. Garmin offers two different plan groups, annual and Freedom. Annual allows a lower monthly premium by signing up for an annual contract while Freedom is higher month-to-month price but allows you to cancel anytime. Both styles require an "activation" fee. If you buy into the lower end plans, make sure you keep track of what's included and not included or has fees for overages. Biggest design flaw I've noted so far is the way the carabiner/belt clip piece attach to the main unit. While on my training hike, I bumped the unit with my arm twice and separated the unit from the clip. Luckily I noticed it fell both times and was able to grab it. They should have at least given the option of integrate loop in the housing to put a strap or carabiner through for a more secure connection. Thanks for the review and info, WILL1E. Have a great time on your solo Alaska trip. I hope you'll update us on how the Garmin works out for you.